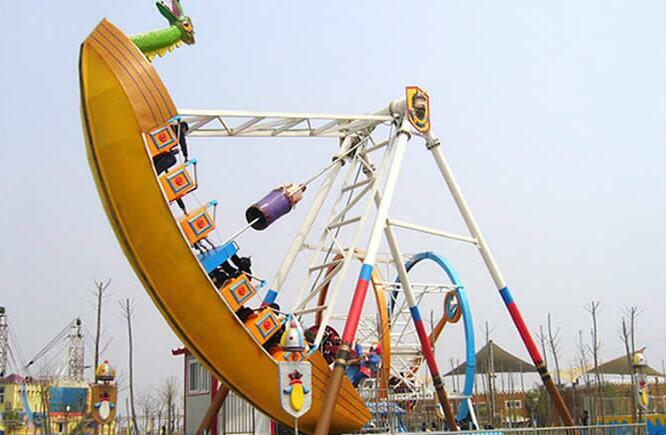 If you own an amusement park or a fair, then you should have a pirate ship ride installed. Before you order one, there are a few things you should know about it. This article will cover all you need to know about the pirate ship ride. 1. What Does It Do- The way the ride operates is simple, as it goes back and forth. 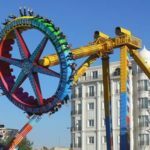 However, the way it works is that it usually starts swinging back and forth at low speeds and it doesn’t go high at first, but as the ride continues, it starts to go faster and faster, and it goes higher and higher. Many pirate rides go very high in the air, but they don’t go fully around, so riders don’t go upside. 2. 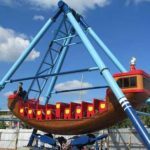 Appearances And Style- As the name implies, the ride is shaped like a pirate ship, and it features seats that you usually associate with pirate ships or viking ships, but they come in various shapes and sizes and colors. 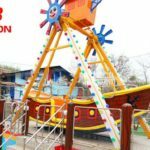 This means if you decide to get this ride, then you can choose to have it in a certain color or style, and it’s worth pointing out that there are pirate ship rides designed specifically for young kids and then there are ones designed for older kids and adults. Also, some pirate rides do go fully around its axle. This means riders tend to feel weightless. Some of these rides also go in different directions, but the most common pirate ship ride simply swings back and forth at high speeds. 3. Height Requirements- You should know that there is no standard height requirement for the pirate ship ride, as this varies from one park to another. Many parks have a height requirement of 39 inches, but parks are free to have a height requirement that is higher than that. 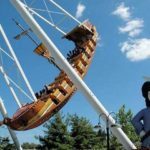 If you own a park or a fair, and you decide to have the pirate ship ride installed, then consider making the height requirement 39-49 inches, as this seems to be the average height requirement at many major theme parks, in regards to this ride. 4. 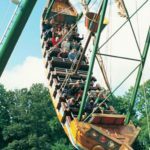 Why Do People Love It- There are many reasons why people love the pirate ship ride, with one of them being that it provides them with a lot of thrills, but it doesn’t go upside down or travels at excessive speeds. 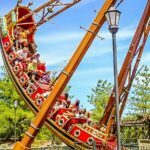 Many people are not fans of really fast and over-the-top roller-coasters, but they do enjoy thrills, which a pirate ship ride provides plenty of. 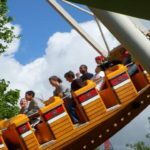 Another reason why people love it is because it is a ride that is generally great for people of all ages, and it provides them with views of the surrounding area, especially if the ride goes very high and if riders sit at one of the end seats. Now you know what a pirate ship ride does. 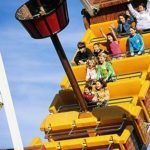 You also know they come in various appearances and what the typical height requirements are, as well as why people cannot get enough of going on them. All you have to do now is order a pirate ship ride and have it installed at your park today. Amusement Park Diggers For Kids Is A New Favorite Among Families!